You might have perfected the selfie pose, but what about the background? It’s all about the ambiance and the Atlanta Metro sets the scene with film-worthy backdrops. Grab your selfie stick and check out these top Atlanta Metro spots for capturing a movie-worthy moment. 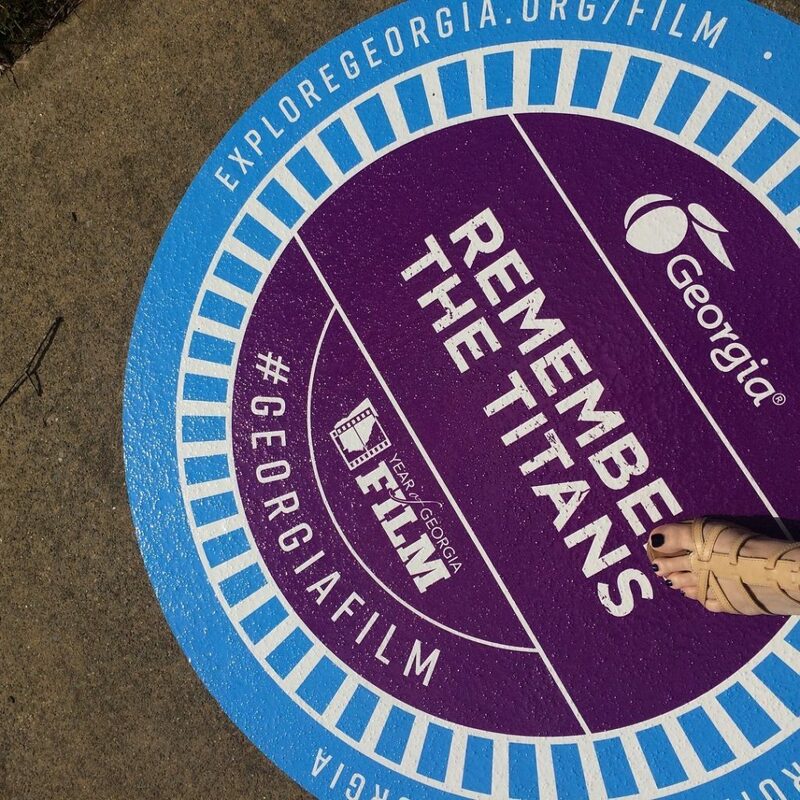 Strike a pose and capture a snapshot on the Georgia Film Selfie Spot Tour, a self-guided tour developed by Georgia Tourism, a division of the Georgia Department of Economic Development (GDEcD) and aimed at highlighting Georgia’s rapidly growing film tourism sites across the state. Well, I do love Dave & Buster’s.” And who doesn’t? Visit the Dave & Buster’s in Marietta, featured in “The DUFF,” and have some fun—whether on a date or with your true friends. Take care if you’re driving down Alexander Lake Road at night. Visit the lake at Panola Mountain State Park and discover why Georgia’s favorite vampires find the reflective waters so entrancing. Celebrate Christmas (any time of the year) with one of Tyler Perry’s most popular characters in downtown McDonough. The square served as the filming location for the eighth film in the “Madea” franchise. Stop at the Atlanta History Center’s Swan House (130 West Paces Ferry Road, Atlanta, 30305), one of many Georgia set locations used during the filming of the movie “The Hunger Games: Catching Fire,” “Mockingjay I” and “Mockingjay II.” Take a self-guided tour of the Swan House and see how the home was transformed into President Snow’s mansion. The Atlanta History Center is featured as part of Explore Georgia’s Selfie Spot Tour. Head to Nic & Norman’s Restaurant (20 Main Street, Senoia 30276), open 11 a.m.-11 p.m., Monday-Thursday and 11 a.m. to 9 p.m. on Sunday. The laid-back ambiance at the restaurant, owned by Norman Reedus, one of the stars, and Greg Nicotero a director of “The Walking Dead,” is the ideal backdrop for savoring eats from a classic pub menu. Chat with locals at the long wood bar while sipping draft beer and cocktails. Pick up a souvenir at The Woodbury Shoppe (48 Main Street, Senoia 30276), open 11 a.m.-5 p.m., Monday-Saturday and 1 to 5 p.m., Sunday. It’s the official “Walking Dead” store, featuring thousands of AMC licensed products including the most complete assortment of TWD t-shirts and all things “The Walking Dead.” Don’t miss the museum downstairs, showcasing actual props from the show. Walkin’ DEAD Hampton, a 14-stop walking tour, takes visitors to every major scene shot in Hampton during season six of the popular AMC television show. This hour-long storytelling stroll through historic downtown Hampton is led by a knowledgeable guide who will share photos and stories from behind-the-scenes. 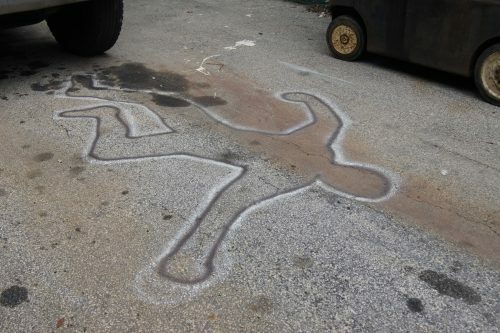 Stand at the famous dumpster scene and lay in the remaining chalk outline (on the GDEcD Selfie Spot Tour)! Hear the stories of how Hampton was transformed into an apocalyptic set and the local encounters with Walkers. The tour starts at the Speakeasy Bookstore (26 East Main Street N, Hampton, 30228) on Saturdays at 1 p.m. Call (678) 641-7794 to reserve your space. It’s ready, set, action on the self-guided Douglas County Film Trail! Over 700 movie and television productions have been filmed in Douglas County and Douglasville. 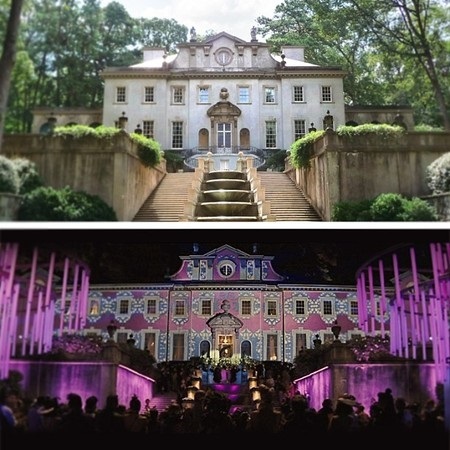 Visit filming sites used in favorite television and movie productions, like “The Hunger Games,” “Stranger Things,” “The Walking Dead,” “The Founder” and so many more. Explore where Katniss and Gale walked in Sweetwater Creek State Park for the filming of “The Hunger Games” or where Jim Hopper investigated the paranormal of “Stranger Things” in Downtown Douglasville made to look like Hawkins, Indiana. Notable locations throughout Douglasville and Douglas County have been marked with “DC Film Trail” signs to designate them as official film locations. Navigate to the movie reel, on www.DouglasCountyFilmTrail.com, to explore all of the possible stops along the trail. Take a selfie, next to one of the Film Trail signs and use the hashtag #DCFilmTrail for a chance to be featured on the DC Film Trail’s social media pages. 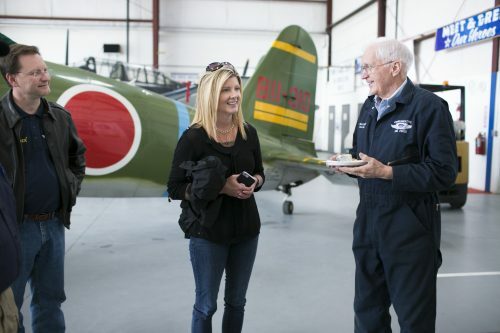 Look back in time at vintage WWII aircraft at The Dixie Wing WWII Aircraft Museum (1200 Echo Court, Peachtree City 30269) and also see a little bit of Hollywood. Several of the aircraft on display have been featured in movies like “Tora! Tora! Tora!” and “War And Remembrance.” Admission is free.